Smarter Balanced Teacher: Whooo's Having a Teacher Appreciation SALE??? 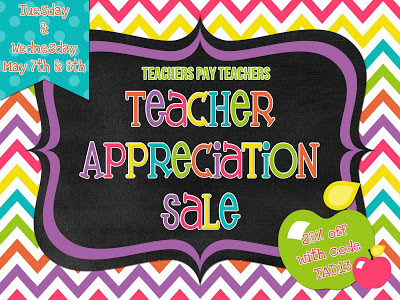 Although our school celebrated Teacher Appreciation Week early, I am so happy to be able to share my appreciation for you with a huge sale all over Teachers Pay Teachers. All items in my store are 28% off, when you use code TAD13, and you can click the graphic below (courtesy of Megan at Teaching Superpower) to go directly to my store! 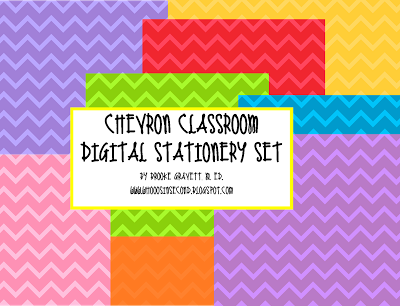 Introducing: The Chevron Classroom Digital Stationery Set! I'll be working on more classroom decor sets soon, but be sure to stop by and pick up a bargain or two to treat yourself this week. Happy Teacher Appreciation Week!